A game for cheats, cads and bounders that is! You can play it at Sunnycroft, just up the road from us. Certainly. These two were cheating like crazy. Ah memories. My parents used to bring out the croquet hoops and mallets at every birthday party they held for us kids and they'd set them up in our back garden. 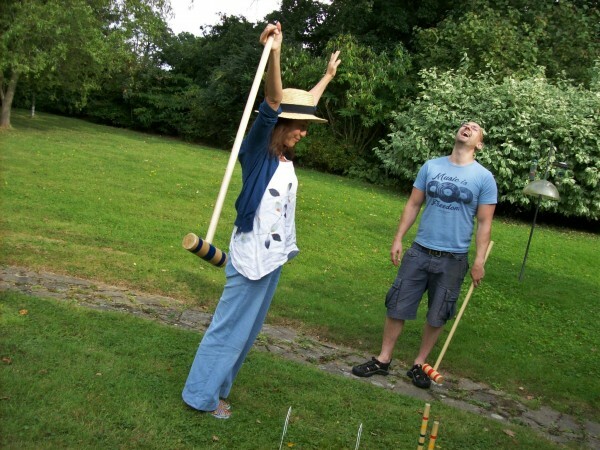 We had a croquet set when I was a kid- and got a lot of mileage out of it.